As soon as it was available to purchase, I pushed the button to buy the newest Silhouette Cameo (2014). I shared the new features of this new 2014 model based on what Silhouette had released about it at the time. Now that I have it, I wanted to do a little comparison between it and the previous Silhouette Cameo. It also included a Pick Me Up tool, 4 Silhouette metallic sketch pens, an extra mat (a total of 2) and an extra blade (a total of 2). If you want a Pick Me Up tool and didn’t buy a bundle that has one you might consider this whole pack of tools for the Silhouette. It includes the Pick Me Up and 3 other useful tools. In most Cameo purchases, you will receive only one mat, one blade and I think usually a $10 download card to the Silhouette Store. The nice thing about Silhouette download cards over memberships is that the download cards do not expire. Yay to that! From the inside, you’ll notice a difference in color and and in the rollers. The new ones are steel spring rollers as opposed to rubber. You may notice guide marks in blue on the new Cameo. They were also on the previous Cameo but you couldn’t see them because they were grey. You might have this question, “Why did Joy call the Original Cameo a 2nd Edition?” Well, you might not have noticed unless you owned a Silhouette that came out when it was first released in 2011 but another model later came out. Differences in those? Only one major one that I can remember. That ratchet area on the left…AKA..that hole. The original one looked like this. So, if you still have the 2011 version, you’ll think the hole is new. It’s not. It was part of the 2nd Edition update. It still functions as the ratchet to adjust your blade depth. The most obvious difference is the panel on the right side of the machine. It is now a full-color LCD touch-screen. I’m not totally won over by this new addition. It seems to be slow to respond to touch…at least my touch. However, this whole panel can be upgraded and changed with a quick update by Silhouette, so I’m reserving judgement for a while. I’ll let them get some user feedback and see if they make some adjustments. You’ve got 3 color choices with the panel. I picked purple. I miss being able to add a photo or other patterns like we could with the previous Cameo. It’s not impossible for that to occur with this panel, so maybe they’ll add more options in the future. Crossing fingers. Check this out! Yep, you can add things from a USB! Nice. More about that next. One downfall? The little triangles on the right (unless and until they update and change it) are the directional buttons. They (at least for me) were not easy to use. Additionally, when I loaded a mat and hit the directional buttons either up or down more than once in succession, the rollers kept rolling and wouldn’t stop. (It had no trouble loading and unloading the mat, just in advancing it or rolling it back using the directional buttons.) I almost sent the machine back at that point but my husband convinced me to keep it and try again. So, I will. Plus, it’s such a big deal I’m fairly sure they will fix it soon. I doubt that’s something they intended and in my experience, they do update and change things. I’m hopeful. 11/9/2014 UPDATE: They released a firmware update that fixed this problem! More info here. The old Cameo is on the left. It could accept an SD card, while the one on the right can now accept a USB. Does that mean we might be seeing it work with Bluetooth or wireless technology in the future? I can’t see why not. The new addition to the back of the 2014 Cameo is the crosscutter. The blade can be stored in the side compartment when it’s not in use. It’s helpful when cutting rolls of vinyl and excess paper. So, that’s about it for new Cameo vs. old Cameo. It looks like they have stopped production on the old Cameo but you can still find one here (for now). Want to try the new one? I bought mine here. Need help with your Cameo? See these tutorials. Want to learn about other die cut machines? See this post. You can find all of my Silhouette Cameo projects on my blog here or on my Silhouette Pinterest board. Does the new one sound any different than the old one when cutting? I have the portrait and want to upgrade to a Cameo. Would it be worth the $40 in savings to buy the old version or should I buy the newly released one? Hi .. I dont have any cameo's or cutting machine.. and decided to buy one .. which version you advice me ? Thanks ..
Hi Eman, I'd still say the same as what I told Kathy below, I thought the previous Cameo was great but if these upgrades appeal to you or you think you might want to get the new one in the future, you might want to buy it to start with. If you want to save some money, the previous one is definitely a good machine! :) I hope that helps you, Eman! Happy Crafting! P.S. Eman, you might want to take a look at this post I wrote that discusses some other die cut machines that are available. I'm very interested in the USB feature so I can use it at crops without a laptop. I remember the SD on the original Silhouette SD being very cumbersome to use. Could you please do a blog article about using the USB feature on the new machine? Thanks! I would so much appreciate it! So besides the physical features, is the program the same that is used on both? I am new to the Silhouette and am looking to purchase one but not sure which to purchase. Hi Jennifer, Yes, both machines use the same software. You can download it for free from the Silhouette site and try it out. However, you'll have to upgrade to the Designer Edition if you want to cut .svg files. That's $50 on the Silhouette site but much cheaper on Amazon. What is cutting .svg files? I just got the old version and trying to see what I need. I was a graphic artist for years and have used Adobe products. Is the Silhouette cutter, and others, able to reproduce detailed line art designs? Are the pens one size only? What is the point size? I am looking for something a little more substantial than my printer to produce Tshirt designs. Thanks in advance for your assistance. Thanks for the comparison. I got my first Cameo earlier this year. Had I known a new one was coming out I would have waited. After reading your review I can see I'm not missing much. I love my Cameo and use it quite a bit for cards and scrapbooking. I haven't even started to play with the other mediums. Hi Joy thanks for the great info. My circuit has died (won't cut the paper) and I am planning to get a silhouette but wanted to check and see if it would be worth getting the newer one. I wanted to ask if either machine does the print and cut? And how do you feel about PNC features? Thanks so very much. Hi Anna! Yes both machines do a print and cut. I have a Silhouette Portrait and do lots of print and cuts. Hi, what about the new matless cutting on the new cameo? Can you review what this is all about? Hi Amelia, I haven't tried it on the new machine yet but it's not totally new to the Cameo. Here's a post where I cut chipboard without a mat using the old Cameo. In my experience with other machines, matless cutting always makes me wish I was using a mat. LOL! Hi Joy, my E2 just quit working and I've been think about getting either the Cricut explore or the Silhouette Cameo. What would be your suggestion? Does either machine have a scan and cut feature? Thank you for all the great videos. Hi Carolyn, Here is a post where I list and discuss the machines I recommend. 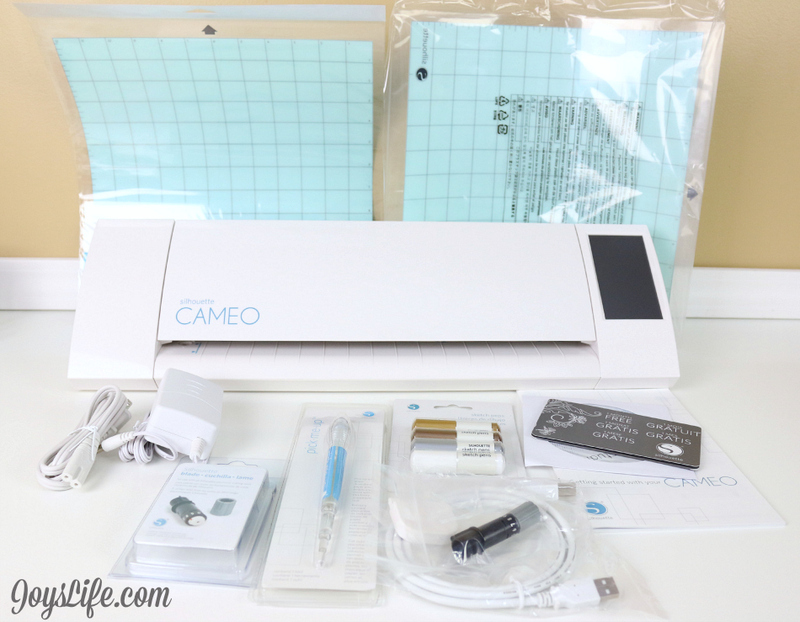 The Silhouette Cameo recently came out with the Pixscan Mat that allows you to scan and cut! I bought the mat but still haven't tried it. (Note to self...must do that.) Here's what Silhouette has to say about it. I hope that helps! 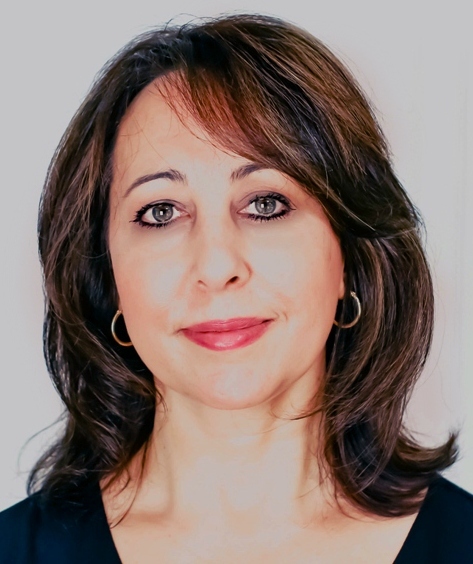 Hi Joy, I have missed your blog, sorry...battling the dragon. Great post on the new Cameo, would love for you to do a video on the Pixscan Mat. I would love to get one, but I have to really watch my pennies right now...battling the dragon is draining my funds. Now I have to catch up...you've been busy. I am looking to purchase one of these for my wife who is an avid quilter and would like to use it to cut quilt squares, etc. How is the material cutting on these? Hi H20skier, A lot of people enjoy cutting fabric with the Cameo but that's not something that I do often enough to really give you a good answer. I will say that my mother in law is an avid quilter and she LOVES her AccuQuilt GO Fabric Cutter. I highly suggest that you take a look at it. You do have to buy dies to go along with it. My mother in law loves that it's easy for her to cut out a ton of shapes in a short amount of time. I hope that helps! Can I use Sure Cuts A Lot software without having to also purchase the software upgrade to the Silhouette itself, in order to cut .svg files? That is the program I used with a previous cutter I used. Waiting for the answer "Can I use Sure Cuts A Lot software without having to also purchase the software upgrade to the Silhouette itself, in order to cut .svg files?" SharonK, Since SCAL is an independent program, I don't think you'd need to upgrade anything having to do with the Silhouette software. You should contact SCAL for the best answer to that question. Thank you so much for the comparison for the two Cameo machines. I am asking for one for Christmas and there is a great buy on the "old" Cameo at Michaels Canada. I am going to go for it - I can always upgrade. Thanks again and have a very Merry Christmas and may your season be filled with joy, peace and especially love. Love the comparison. Thanks a lot Do you need to use Version 3 software with the new cameo? I tried version 3 but without full manual registration mark detection cannot use it with a lot of the colours I cut with. If you do have to use it I guess I will stick with V2 and my old cameo. Hi Robbin, I'm not sure what comes in the box from Michaels, so I can't compare it to the bundle deal that I got. The machine that I bought is from Amazon and came with extras which is the reason they call it a bundle. It's not just the machine. Here's a link to the one I am referring to. I hope that helps! Merry Christmas! Thanks son much for the info, and especially following up with answers to questions in the comments. I found more info here than anywhere else I've looked! You helped me make the decision to purchase the older model bundle at a much cheaper price than the new machine alone. does the old machine cut right from fonts installed on my computer or only the new machine? also, the older one is on clearance in michaels stores for only $179.99 now. Hi Joy! I am new to card making and I just purchased several Spellbinder dies at Joann's and on clearance at Michaels. Now I am rethinking my purchases and considering the Cameo. Thank you for such an informative article. Hello. Does the Silhouette Cameo 2 reaches the cutting level of the cricut? Do you noticed that the Cameo 2 cuts better that the previous one? Hi Diana, I think both of the Cameo's cut pretty much the same. I haven't noticed any real differences between any of the versions and their cutting ability. I always thought they did a good job. Regarding the cutting level, I'm not sure if you mean blade depth or ability? I think the Cricut might be able to cut thicker materials, that being said, I've seen just about everything cut with a Silhouette Cameo that I've seen with a Cricut. However, I always say that just because a machine can cut something doesn't mean it should cut something. I've had three Cricut Expressions in the past and got rid of several of them because I'd used materials in them that really stressed the machines. They ended up not cutting as accurately after some of the things I did. So, if you're looking for a super tough machine that can cut a lot of thick media you might look into the KNK Zing. It's got a much stronger motor than either of the Cameo or the Explore. I hope that helps! Here are things I've created with the Cricut machines and the Silhouette machines. I am looking at getting a cameo. Do you think the Cameo 2 will already have the upgrade that is needed? I was refering to the precision of the cut. I saw that the Cameo isn't so precise as Cricut in tiny cuts. The Cameo 2 has solved that problem? Think for your help! ???? I currently have Cricut Expression 2. I am going to purchase Silhouette Cameo 2. Can Istill use the same mats with Cameo as I used with Cricut? I have worked with a Cricut and Silhouette...the Silhouette hands down cuts finer and better detail than the cricut in my experience. I am wantin to purchase one but not sure which will do what I am needing. I want to be able to print car deacls, shirt designs, and possibly stickers for my sunglasses? Any suggestion on which one I should purchase. It would be for personal use but wasn't sure which way to go. I bought a cameo mainly to use with a pattern I bought The pattern features all kinds of ice cream...sundaes popsicles, etc....all to be appliqued. I don't know if the Cameo will take these already digitized designs and cut them out or if I have to manually draw them myself.....any comments? Hi, can I cut fondant with any of the silhouette machines? If not, do you know if there is any machine besides cricut cake on the market that cuts fondant? Thank you so much! Thanks for the helpful detailed comparison! I think this has convinced me I don't need an upgrade. :) Just a bit of info: "a USB" could refer to many things (a USB cable, a USB flash drive, a USB port, a USB keyboard...) I think what you mean here is "a USB flash drive" or "USB thumb drive." HI i would like to buy a cameo to use for cake decorating.....went on amazon but was so confused by all the different bundles and options....which bundle would be best suited to my use? Hi Khadine, I didn't realize that people used the Cameo for cake decorating. I've shown how to turn the Cricut into a cake cutting machine but the Silhouette idea was news to me. That's cool! There are no current standard die cut machines that are out now designed specifically for cake decorating. I don't have a suggestion on the best machine to use for cake decorating but I did find this cool package that allows you to buy a special blade and more to help you cake decorate with the Silhouette. I hope that helps you! So, can you tell me, can the crosscutter only be used with rollsof vinyl and how do you go about getting the vinyl to go to the end of your cut, rather than going back to the beginning. I just upgraded from the SD modeland am confused as to how the crosscutter works. Hello Joy, Could you compare the noise levels of the two machines? Which one of the two is quieter? Hi Vlad, I no longer have the original Silhouette Cameo, so I can't compare to be absolutely sure, but I think the new one makes a little more noise. The sounds it does make also have a musical quality to them. Just got a new Cameo and can't figure out how to put those cute little boxes together. Any Tutorials on that? Hi Kuby, Here's a link to some of the boxes I've made with the Cameo. I hope they help! Is there a specific kind of box you want to make? I sure wish they had made this new version of the Cameo bluetooth/wireless. It seems kind of outdated that they wouldn't have thought of that already since bluetooth/wireless devices have been out for awhile now. I hope I won't have to buy a totally different machine if they upgrade it to include wireless/bluetooth since even the machine itself is spendy. Wow, I really appreciate you kindness Joy! ?